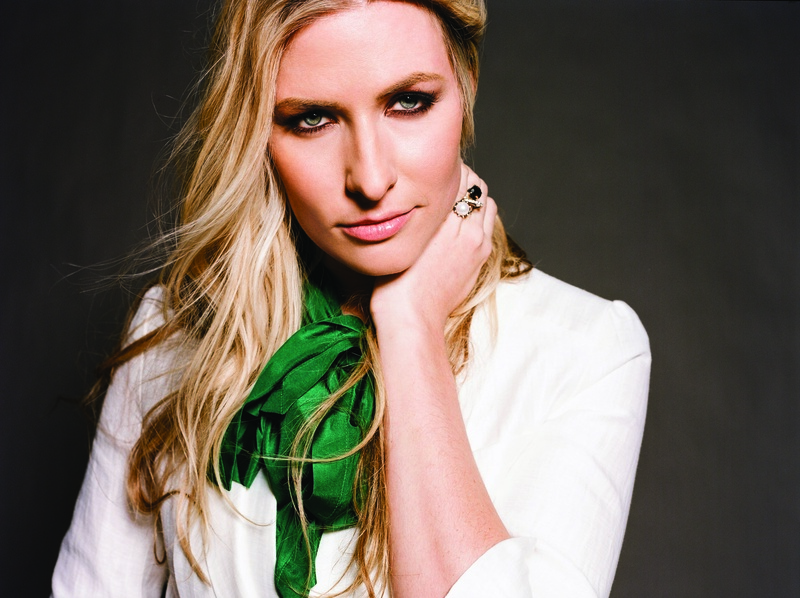 I can relate to Holly Williams, though she is completely in a league of her own. She’s the third generation of a famous family (Hank Williams and Hank Williams Jr.), making a name for herself both in the family business (music) and outside of it (fashion!). I love her album Here with Me—it’s the perfect Sunday sound: relaxed, thoughtful, beautiful, and piercing. And when I went to Nashville last summer, I was determined to check out her store. Imagine my surprise when not only did I find amazing, fabulous, and stunning clothes that fit me, but also she was hanging out in the store helping customers and…working! 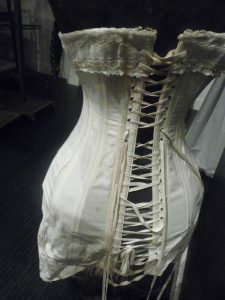 I was too shy to say anything to her about who she was (although I did ask her about an amazing corset she had on display in the store!). She is, to me, a perfect example of exactly what I love about country music—honest, unassuming, friendly, welcoming, and just plain good to enjoy. I would have to say mac and cheese and mashed potatoes. We had really yummy food down where my grandparents lived in Louisiana. It was common to have black help (like in the book The Help), so they had these ladies who had been cooking since they were 7 years old; they had that charm on them. I do remember the top of the mac and cheese was crusted over. There were so many layers of cheese with a soft inside. It was delicious. Now, because I’m cooking so much, I make these homemade sweet potatoes covered in marshmallows. Usually I only make them once or twice a year for the holidays, but I was craving them so I made a whole batch last night. It’s probably one of my favorite things. I cook a lot; I do a really good homemade turkey meatballs and spaghetti, which is great. I love local organics, but that’s hard to cook when traveling, so I try to hunt out a good local restaurant. I do bring Luna bars and boring stuff when I’m on the road. It is a cheating time for me, too; I have Steak and Shake milkshakes only when I’m on the road, never when I’m at home. I make a homemade pancetta egg salad, and pack it in jars to take with me. But that only lasts a day or two. 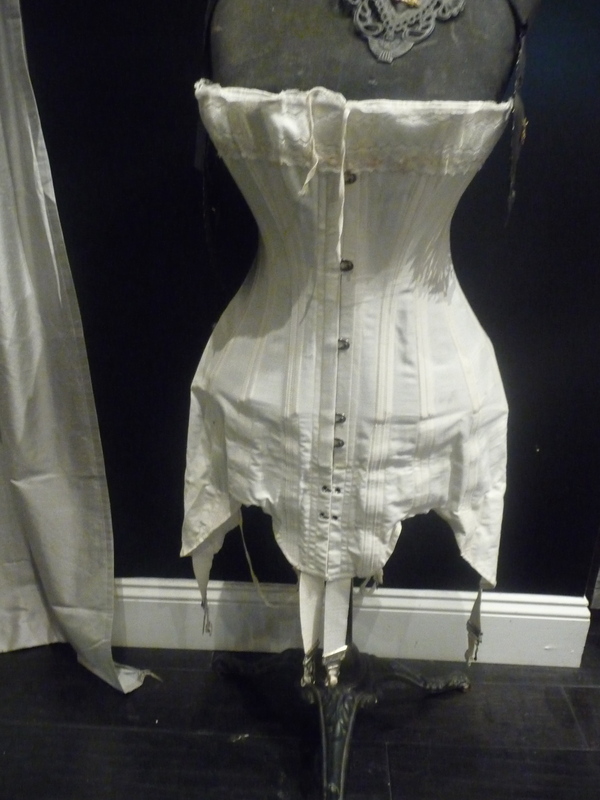 A corset from Holly’s store, H. Audrey. I personally think it’s extremely important, for so many reasons. I think the average nonorganic-living person has eight pounds of chemicals and pesticides in their bodies. I buy all my milk, cheese, and meats from organic farmers near me. It feels so good to hand your cash to someone sustainably raising animals and treating them well. I think anyone who reads about how animals are treated (I recommend Food Inc. and Omnivore’s Delight) will find it hard not to go organic. I grew up hunting with my dad. I’d rather a deer be shot in the woods, free roaming in grass, than to eat pigs kept in god-awful conditions, smacked in a cage. I went organic two years ago, and I feel great, I’m hardly ever sick. I’m trying to get my brother and sister on it—they call it “the weird food” but they do admit now that it tastes better. A tomato in season is like a whole new world. I remember the first time I had one, I thought, what is this magical thing? The taste is so much better. I do recycle everything that comes through my life. I don’t use common cleaners like Windex or Clorox; everything is from Whole Foods or from the farmer’s market. My mom got a bad foot fungus about two years ago from standing on Tilex from cleaning her shower: The chemicals got in her bloodstream, and it’s been a nightmare. Especially after that, I like to breathe clean air. In my clothing store, one or two lines of scarves are organic. It’s hard to do everywhere, but I try to do it as much as I can. I didn’t really get into the songwriters until I was 17, 18. When I was little, I listened to the usual New Kids on the Block and what was on the radio. When I was older I got into Jackson Browne, Bob Dylan, Joni Mitchell, and Tom Waits. I loved my dad’s music growing up; the hits are fun, but he has so many gems that people don’t know about. I got into my grandfather’s music, too, when I was 20, 21. I leaned more toward the folk scene. That whole movement was really important to me. I was a late bloomer, but stuff from when I was young: My dad listened to Robert Johnson; I thought that was weird when I was 8—now that’s a huge thing for me, thinking about all those guys in one room with a guitar and nothing else. Back then, you had to have a good voice and play your instrument, and now the studio can make everyone sound amazing. When I hear different cuts off of a Beatles album, I think wow, they did all of that right then, it’s not edited. Thanks to good music marketing you can find anything now, even though it’s overwhelming. I’m a recent fan of The Perishers and The Black Keys. This sounds ridiculous, but probably the organic food movement. I’ve never been too involved in protest movements, but this is probably the movement I’m most passionate about. I’ve never written a song about food, but you never know! The Ryman Auditorium in Nashville. The setting, with old pews and benches, the acoustics—it’s inspiring. I play the Opry sometimes, and it’s amazing. Not only my grandfather, but all my heroes—Keith Richards, Nora Jones. It’s inspiring to think of who has played there. The greatness in the different people you meet. No matter where you grow up, you’re around the same people a lot, and there are certain prejudices thrown on you from your surroundings. I do a lot of touring overseas and here, and everyone is a person, has a heart, and has an opinion. Especially when I go overseas to places I’ve never been, one thing we all have in common is a sense of humor and laughter. At a show in Italy, my tour manager and I were the only people who could speak English, but it’s interesting how we all found something in common, no matter language or other boundaries. One Day, You Too Can Be an NRDC Growing Green Winner! Thank you Holly! You are amazing and I love your music. Thank you for sharing your passion for organic, too. Thanks for your integrity, Holly. Robert Johnson was/is organic. Even though he went to Chicago, he was local and sustainable to his roots.